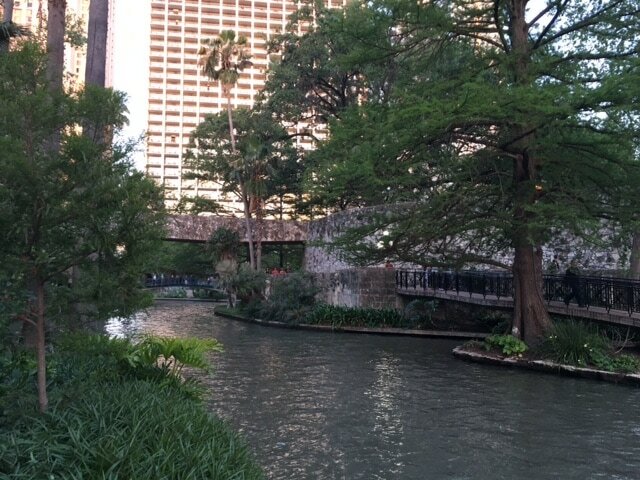 I was lucky enough to attend the National Council of Teachers of Mathematics Annual Meeting this year, held in San Antonio, Texas! The conference fell during the week after spring break so my husband and I decided to go early and make it a holiday as well. 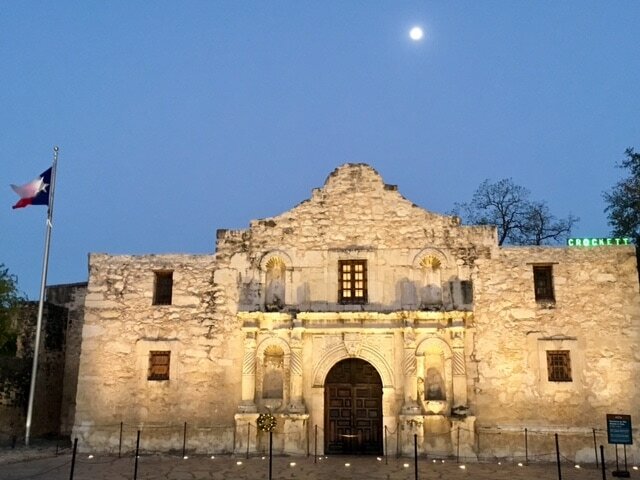 What a beautiful city! And what an amazing conference too! Over 7000 people in attendance, and over 700 session to choose from over four days. I created a pdf of my reflections, which I will post here. If you ever get a chance to go to one of these conferences, I strongly suggest you take it! I recently had the wonderful opportunity to watch Sandra Herbst as she co-constructed criteria with two classrooms in a neighbouring school division. One class was Gr. 1/2 and the other was a 5/6 class. Both lessons were on writing, and it was so awesome to have the chance to see how co-constructing criteria could look at different levels. The series of instructional steps was similar, and could be done at any level for any subject. I asked a teacher in our division if I could try it out with her Gr. 7 class, and we made arrangements. The lesson would also be on writing, and the teacher wanted to introduce opinion writing (which coincidentally was the lesson Sandra did with the 5/6 class that I saw). AWESOME! The students were given a piece of looseleaf paper and were asked to watch me carefully, jotting down anything they observed me doing while I wrote. As I typed, I continued to voice my thinking out loud. I wrote the first paragraph and then asked students to turn and talk to the other students in their group. They were told to name at least 2 things they saw me do. Next, I asked each group to tell me something their group noticed. I was hoping they would notice that I: cleared my mind first, began with a hook, stated my opinion and used details. This is what I got from them: "I concentrated, I gave my opinion, I began with a hook, I used punctuation and capital letters, I had a plan, I ignored a spelling error." Not bad. Each time an observation was given, I asked a student at that group to record that observation using a marker and a long strip of paper (about 3 x 20 inches). Every observation was accepted and valued. The only ones we didn't use were repeats of observations that someone else had said already. Then I modeled the next paragraph. I made certain to use the word "details" a lot this time, because they didn't notice it last time. This time the observations included: "I used paragraphs, I made a connection, I stuck to my opinion, I reread before I started, I used interesting words." No details yet, and I was hoping that they would notice that I used facts from my research to back up my opinion. I needed to keep modeling. We continued in this way for 5 paragraphs. Each time I modeled with thinking aloud, carefully voicing what I wanted them to notice. Each time they shared with their group before the whole class shared. Each time, all observations were accepted and recorded on strips of paper. Eventually, I had everything the teacher and I wanted them to notice, along with about 10 other things we hadn't considered - some of which were excellent! Together, we reread the strips and discussed whether we had missed anything; we wrote two more observations. Then I told the students that I could see three different categories of criteria listed. 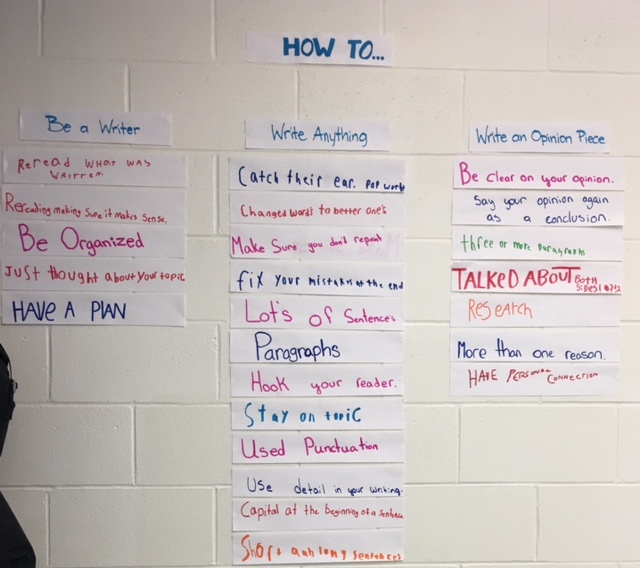 We had: Habits of a Writer (make a plan, concentrate, etc), How to Write Anything (reread for clarity, use fix-up strategies at the end, use interesting words, etc) and How to Write an Opinion Piece (back up your opinion with facts, restate your opinion at the end, etc). We sorted the strips into these categories. Co-constructing criteria is all about giving voice to our students. In Sandra Herbst's words, "What counts? What matters? What's important?" 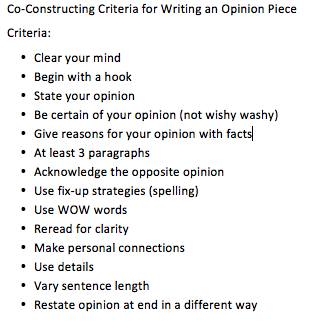 If we had done a brainstorming session without the modeling, students may have come up with some of the criteria about what to do when writing an opinion piece, but I doubt that the list would have been as complete, nor as valuable. When thinking aloud, we are gifting our students with the language that we want them to use. It's all about metacognition, about making the invisible visible. Please check out some of Sandra Herbst's work! Here is a link to her website: Transforming Learning. I am anxious to read her new book! Here's how I plan to use this resource with this class. 1. Show the video. Here it is!!!! Starring my hand and my husband Trevor's hand. If the video is not displayed below, please click here. 3. Ask students to turn and talk with a partner and share their ideas. After a minute or so, ask pairs of students to share what they talked about. Record this on the whiteboard or chart paper. 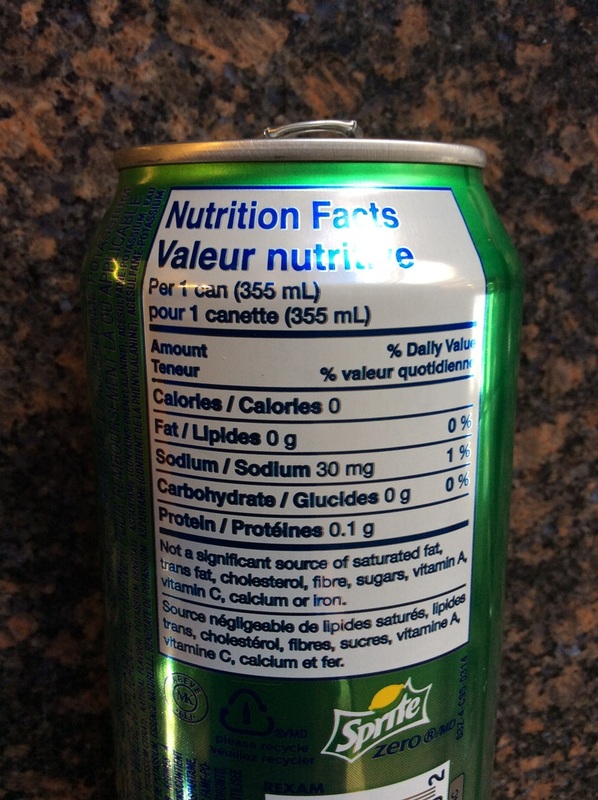 The teacher is looking for a specific question (in the case above, the question I want them to solve is, "How much pop was consumed?"). If the question is not asked (I've had this happen only once so far), I just say that I was wondering something too. However you do this, decide on the specific question you want and say that is what we will be solving today. 6. Now ask the students to turn over their paper and begin working out the solution. Do not give them enough time to solve it all the way through. You just want each student to have an entry point to solving it. 7. The students will now work with a partner to solve the problem. I try to partner up students with similar strategies, or similar skill levels. They get a large sheet of paper (I like legal size, or 11 x 14) and markers. I don't allow them to use pencils because I want to see their errors, and I want them to discuss their errors. 8. Students have time to work through the problem. If students finish early I ask them to practice what they are going to say when they present their solution to the rest of the class. 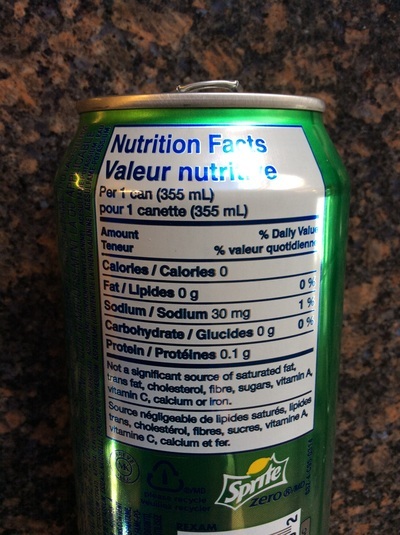 ​9. Students will now be called upon to present their solutions. I don't always ask every group to present, but I definitely want to show the class that there are many ways to solve this problem, and some strategies are more efficient than others. I ask students who are not finished to share sometimes - they just share what they've completed up to this point, and then say that they ran out of time. Step 9 is an extremely important step. I will have worked out ahead of time the different strategies I think students may use to approach this problem, and when I see them, I want those groups to present. I am also looking for misconceptions and want to address these with the whole class as well. 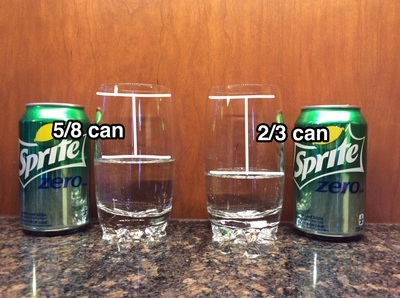 I do want the students to convert the improper fraction to a mixed number however, so I'm not sure I would use this picture. I highly recommend using 3 Act Math Tasks in your classroom. I have used them in classes from Gr. 1 to Grade 8. Love them! I spent some time recently in a Gr. 5/6 math classroom, assisting the teacher with implementing a Guided Math routine. The students in this classroom have been learning about place value. In our province, Gr. 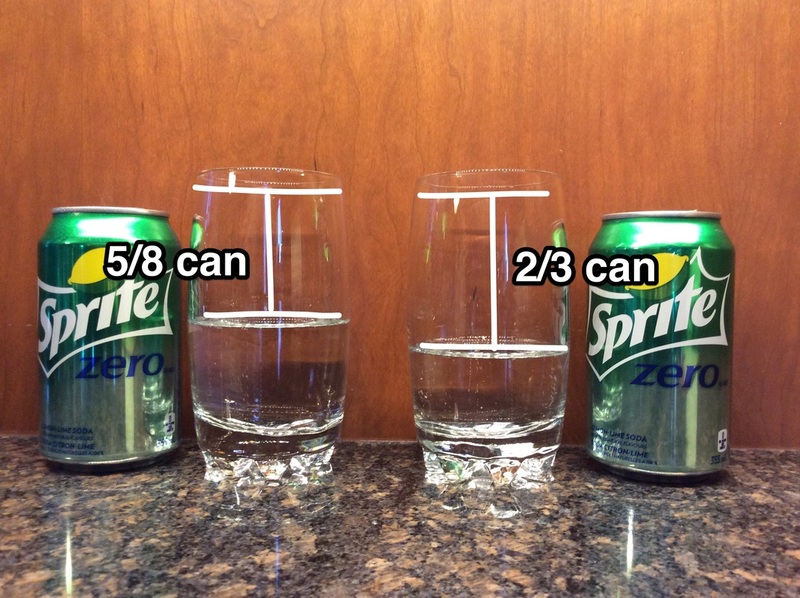 5 and 6 students are expected to know how to represent numbers up to 1 000 000, and decimal places to the thousandths. ​Mathletics: At the first station, the students would log on to Mathletics, a mathematics subscription game-based website that this school has purchased for all of their middle years classes. The students can choose between challenging their classmates (or anyone else who happens to be online at the time - from as far away as the UK!) to a basic facts drill race, or practicing new skills, or problem solving, all in a game-based format. The students enjoy Mathletics, and their engagement at this station was high. With every task they complete, they earn points to improve their personal avatar. Place Value Yahtzee: I came across a Yahtzee game from a blog that I follow called Games 4 Gains. This is an excellent site that has a lot of games for mathematics (and other subjects areas too!). The students choose a game card based on their knowledge of place value (we included the decimal card and the card with 6 digits) and play in groups of 2 or 3. 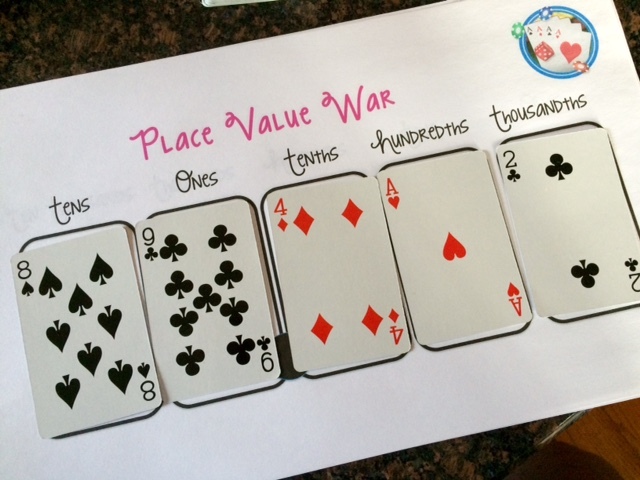 Place Value War: I found another activity online from education.com that I adapted into a war game. I have included the file in this blog post at the bottom, and it is seen in the picture at the top. Students choose their game mat (again based on their level) and draw one card at a time to build a 5-digit number. The person with the highest number gets the point. To be good at this game, one must realize that the higher numbers must go left on the mat and the lower numbers to the right. The tricky part is the probability aspect: how likely is one to draw a number higher or lower than the one that that was just drawn? Once a card is laid, it is played, and cannot be moved! ​Teacher Time: The last station is time spent with the teacher in a small group. I like to plan the same lesson for each group, but adjust the amount of scaffolding I give them. On this day, each student received pictures of a large box, a small box, a package and a sheet of stickers. The idea is this: we are retailers ordering stickers for our store from the wholesaler. The stickers can come in packages of 10 000 (large box), 1 000 (small box), 100 (package) or sheets of 10. For the first activity, I said we needed 20 000 stickers. How can we get that amount? The students easily identified two boxes of 10 000. But what if the wholesaler is out of large boxes? How else could we get that amount? After some prompting, the students decided we could also purchase 20 boxes of 1 000. We continued with the following numbers: 5 000, 45 000, 3 400, 1 470, and 10 080. Each time, we had to purchase the amount of stickers in more than one way. With the groups that were working with decimals, I said that the wholesaler would agree to sell us part boxes or packages. These were the numbers we used: 20 000, 5 000, 50, 3 000, 3 500, 650, 175. Each time, we had to make the amount at least two different ways. So, in order to get 175 stickers, we could order 17.5 sheets of 10, or 1 package of 100 and 7.5 sheets, or 1.75 packages of 100. In order to remember the numbers we used, the students wrote the amounts on sticky notes and attached them to their pictures. ​The day went well, with the students all engaged with practicing their place value skills, based on their level of development. In other classrooms, when I've assisted the teaching in implementing a Guided Math routine, we have had groups play a game on the iPads or laptops, board games, dice games, card games, write in their math journal, build a math craftivity, work on a math project... There are just so many ideas I can think of to keep students working independently. The trick is to find activities that they can do with minimal to no adult assistance, and then take the time to build expectations into the routine. The time spent on building the routine should not be rushed - I encourage teachers to take at least 4 weeks to practice working in small groups and rotations before you begin small group instruction. I honestly cannot remember where I first learned about using Wonder Boxes in the classroom to stimulate my students' curiosity about the world. I just know that I've used them for over ten years now, in multiage classrooms of 1/2/3, 3/4 and 1/2. First, I'll explain what they are, and then I'll describe how I've used them. A Wonder Box is a collection of books and artifacts that are related to a topic. In the picture at the top of this post, you can see my Wonder Box about skeletons. 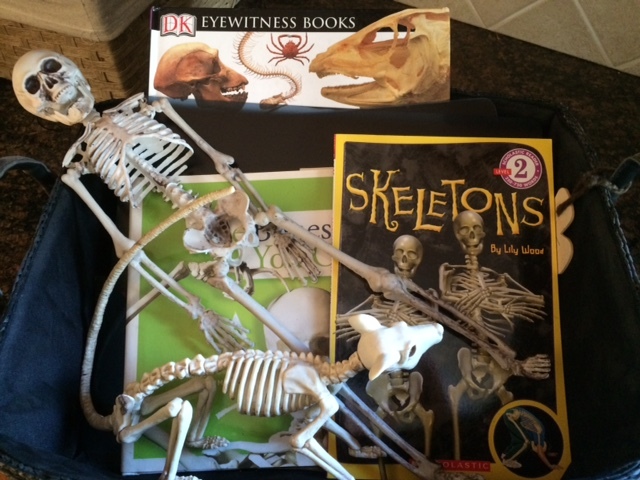 There are three non-fiction books about skeletons, some x-rays that I was lucky enough to have donated from our local hospital and vet clinic and a couple of Halloween toys. 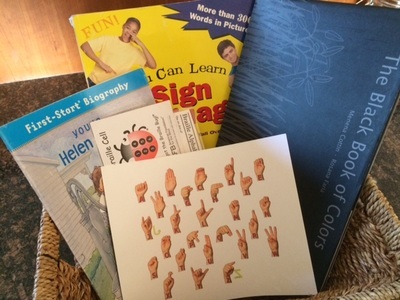 ​In the next picture you will see items and books related to sign language. There is a how-to book, a biography of Helen Keller and a book that includes Braille (The Black Book of Colors by Menena Cottin - one of my favourites!). The artifacts include cards that teach Braille and a chart about signing the alphabet. 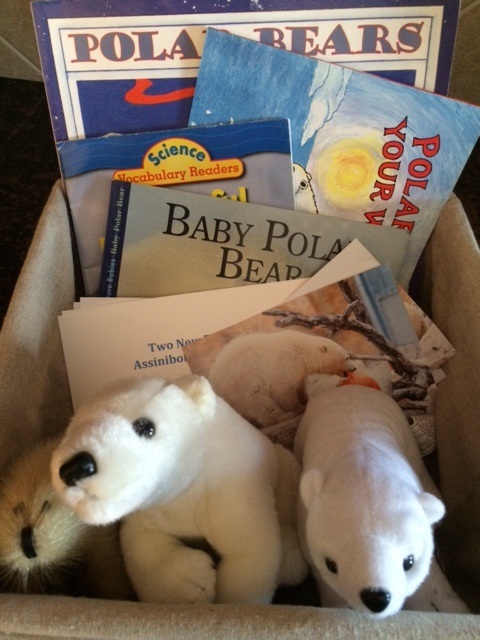 The polar bear wonder box includes two non-fiction books about the bears, a non-fiction book about global warming, several photographs from the zoo, a couple of newspaper clippings about polar bear rescues and three stuffed animals. Teachers often ask me where I get the artifacts for the boxes. The truth is, I just keep an eye out now, and I often find things at a dollar store, around the house, or outside that can be used. Oh yes, and I kept a lot of my own kid's old toys! I have used Wonder Boxes during science or social studies (or Theme, or Exploration, as I've called them in the past) as centres. I have also used them as Literacy Centres. The students, in groups of 2 or 3, go through the stuff in the box. They tend to gravitate towards the artifacts first, and then the books. Then they take a Wonder Card. Once the students have their question, they try to find the answer. They may have to make an inference if their exact question is not answered, and I have also allowed older students to go to the internet if they can't find their answer in the box. They must cite the source of their answer at the bottom of the card. I make about 5 or 6 Wonder Boxes a month, introducing one box at a time and over lapping them, so there are always two choices. The students have quite a collection of cards built up after a few weeks. Some of the students like a topic so much that they may write up to 5 wonder cards just for one Wonder Box! I provide a container for them to keep their cards in. I've used recipe boxes, sandwich keepers... anything that is close to the size of the card. I usually create a new card each year depending on the size and shape of their container. The link on this post is for a copy of cards that fit sandwich keepers perfectly, and they were only $1 at Dollarama! It does take a while to get students to write good (essential) questions. One way to get them to recognize essential questions is by following a website called Wonderopolis, which is also available as an iOS app. This site asks a question a day, such as: "Why are barns red? ", "What is a general store?" and "How do you make a burrito?" Then you can click through photos, videos and text to find out the answer. It's great to do this as a whole class activity. ​As an extension, later in the year, I like to have students create "Investigations." I wrote about this in a previous blog: click here. Students often turn to their wonder cards to get ideas for what to turn into an investigation. I have also requested that students create their own Wonder Box as a research project in the spring. They totally know how to do this, as they've been using Wonder Boxes all year! We set criteria together, like how many books, artifacts, etc must be included. Students write at least 5 facts about their topic on index cards, and they present their Wonder Boxes to our visitors that day (usually parents and other classes). They also enjoy decorating their boxes! Shoeboxes, cereal boxes and coffee cans and our go-to containers.